I took a much needed soupy break with Thanksgiving, but I am back in action with a split pea soupy. And this is not just any split pea soup, this variety features yellow and green peas whose puke green color sometimes scares people away. However, once you get past that you will be pleasantly surprised with a delicious and hearty bean soupy. Also, I noticed that a lot of split pea soups feature ham and celery. I opted to try the celery, but stayed away from the ham simply because I don't have the best meat offerings in my area, but this can be easily added to your own personal blend. Pour the water and broth into a large pot and set to a medium boil. Add onions, garlic, bouillon when water starts boiling. Then add the 2 types of peas when the mixture has a steady boil and cover. Peas, like any beans generally takes 1 hour or more to cook. While they are cooking make sure to monitor the pot where additional water may need to be added. Add the carrots, celery, bay leaves and cumin. I generally add salt and pepper last to taste. Approximate cooking time: 1 hour. P.S. After the soupy was finished I ended up with a very thick soupy. I added more water (about one cup), which thinned out the soup, but lost some of its flavors. So, I then added some garlic salt and pepper to retain more flavor. 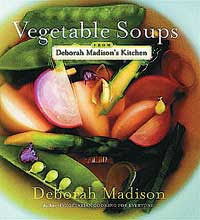 "Vegetable Soups from Deborah Madison's Kitchen" is a must-have guide for anyone who wants to learn a thing or two or 100 about soups. The book practically covers the gamut of the soupy world from classic soups and their variations to original recipes, and those that are specific to a region. Written in 2006, the book specifically covers vegetarian-based soups such as light broth, bean, lentil and pea, and roasted vegetable soups, along with two comprehensive appendixes that discuss how you can change certain ingredients to vary the flavor of your soupy. Debbie's writing makes the recipes really easy to understand and along with the gorgeous full-color pictures any beginner to novice soup lover will soon create the the soupy of their dreams. I was stumped at what soup I wanted to test out this week. I couldn't do anything that was to involved (although I would like to down the line), so I opted to try a basic tomato soup. I never made a tomato soup before but it sounded simple enough, so I got together some fresh and canned tomatoes, rosemary, lime juice, chives, heavy cream for a rich and hearty blend. I was told that I should have added more cream, but I thought it was fine as is, however these are personal choices and adding more or less cream is your choice, especially when creating your own soupy. Enjoy. Start boiling the water with onions, basil, rosemary, garlic, lime juice, and chives. Once you have a boil add the tomatoes, canned and fresh to the pot. Add your bouillon cube and some broth and cover for 30 minutes. Add the whipping cream to the mix and add salt and pepper to taste. Cover for an additional 10-15 minutes and let cool. The recipe will make a chunky soup, but you can thin it out by blending the soup with a hand blender when it cools down. P.S. The picture shows that the soup is topped with asparagus. I had extra, so I decided to roast it in the over for 10 minutes with some extra tomatoes, garlic, salt, pepper, and olive oil. A quick and easy side that paired really well with this soupy. Back in the soupy game and this week I made an easy black bean soup. A classic recipe, but a delicious one nonetheless. Generally a beef-based soup, I used a chicken base and combined some rosemary and lime juice, which gave it a hearty punch. This would also go good with some rice or used as a side dish for say, taco night. How do you make your black bean soup? Soak dry black beans for at least one hour before starting the soup. 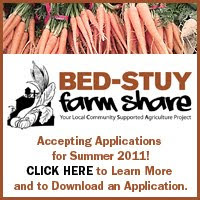 This will help to loosen the beans and make it easier to cook with. Pour broth and water in a large soup pot. Bring to a slight boil and add the onions, rosemary, garlic, salt, pepper, and the bouillon cubes. Let cook for 20 minutes until the mixture has a steady boil. Add the black beans and the lime juice and let cook for about 30-45 minutes. Add sour cream for creamer texture and turn off flame. Use a hand blender and mix up the bean mixture. I also added water because the consistency was too thick. Top with sour cream and shredded cheese to taste. Approximate cooking time: 2 hours. Sadly, this week I couldn't get soupy. Work and life kept me away from my soup pot, but that's ok. I'll be back next week, and even better we have a new variation on a soup thanks to a contribution from Nicole Hazaz. She shared the Lebanese Lubyi bi Zapt soup or Lubi as she calls it, lubi soupy sounds good to me. Get one large onion and slice it into thin rounds, sauteed in a dutch oven (or any soup pot) with 4-5 cloves of garlic, crushed, and a few tablespoons of salt and one of pepper. Once the onions become clear add about a pound of string beans, washed, with the ends and strings snapped off. Snap the beans so that each piece is no more than an inch long. Add enough water to the pot to cover the beans and cook for about 20 minutes, until the water starts to simmer. Once it simmers, add a large can of whole peeled tomatoes to the pot. Crush up the tomatoes. Add a tablespoon of mint and a dash of oregano to the pot, and let cook for another 30 minutes. Salt and pepper to taste and serve. You can add more onions if you like onions, or more tomatoes if you like tomatoes, or swap out the mint for about a tablespoon of crushed red pepper if you want it spicy instead. P.S. I couldn't find a pic on the interwebs, but I definitely want to try this Lebanese soupy, which seems really simple to make.